The literary Tarzan was born in October, 1912 when he appeared in a special issue of The All-Story, a popular magazine which usually serialized its stories in several issues, but the editors were so impressed with “Tarzan of the Apes” that they published the entire story in one issue. 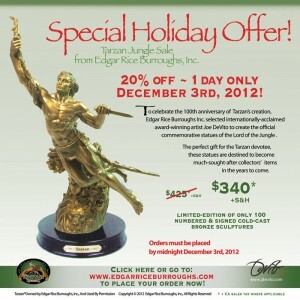 The author was, of course, Edgar Rice Burroughs, who was born in Chicago in 1875 and was virtually unknown to the reading public before Tarzan leaped into print in All-Story. Actually, it was the second story of Mr. Burroughs to be published in All-Story. His first story was a Martian romance which ran as a six-part serial from February to July, 1912, published under the pseudonym of “Norman Bean.” The story had been retitled by the editor as “Under the Moons of Mars.” Burroughs had used the pseudonym of “Normal Bean” to convince readers that he was not off his rocker by writing a fantasy of little green men from Mars. But the editors thought it was a typo and changed the name to “Norman Bean” when they published it. This ruined Burroughs’ little joke, so he dropped the alias and submitted all future stories under his own name. 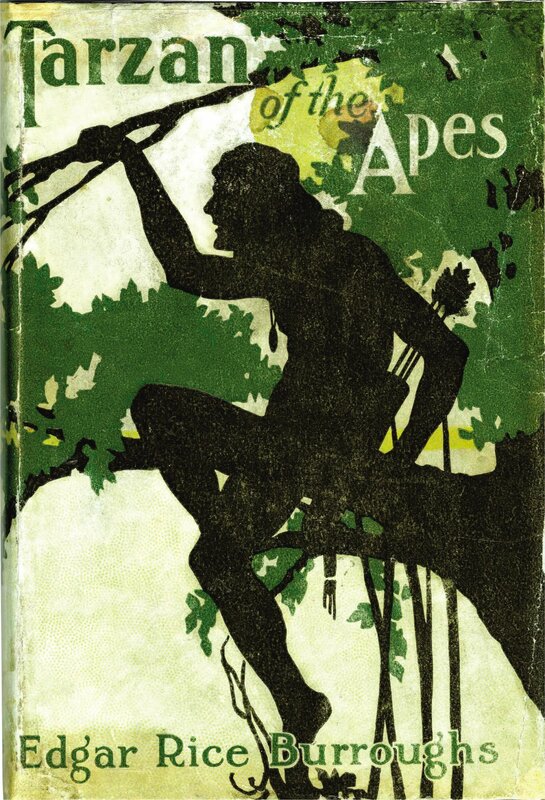 When Tarzan was first published in 1912, the title page read: “Tarzan of the Apes by Edgar Rice Burroughs (Norman Bean)” to identify the real name of the author of “Under the Moons of Mars” for the reading public.